We’d love your help. Let us know what’s wrong with this preview of Pandora's Jar by Sharron Riddle. It's hard enough being a seventeen year old Veil Walker, but when your boyfriend's a demigod and your mom's dating a soul sucker, things can get a lot worse. Pandora has seen ghosts since she was a kid, and now she learns she can bring back the spirits of the dead. Why would she do that? She has enough trouble getting rid of the ones stuck on this side. One annoyingly perky ghost wants Pandora to find her killer, but Ukwa, her super-hot boyfriend, doesn't like the idea. To ask other readers questions about Pandora's Jar, please sign up. 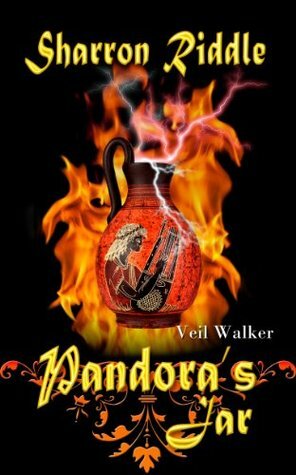 “Pandora’s Jar” is a romance fraught with the paranormal. Read full review in the 2014/2015 Holiday issue of InD’tale Magazine. Had me hooked, hope there's more to follow!